In Greek mythology, the gods and goddesses met on the winter and summer solstice. Even in modern cultures these gatherings are still valued for emotional comfort, having something to look forward to at the darkest time of the year. The concentration of observances were not always on the day commencing at midnight or at dawn, but the beginning of the pre-Romanied day, which falls of the previous eve, December 20th. Before the scientific revolution many forms of observances; astronomical, symbolic or ritualistic, had evolved according to the beliefs of various cultures. Many of which are still practiced today. For other Winter observances see List of winter festivals at wikipedia. Journey with me in 100% pure love and light as we observe this moment in time. Danny actually has the Tree of Life growing from his skull. Interesting dude, but hard to load in a car. It’s a powerful time. . .then there’s Mercury Retrograde, according to my friend, the astrologer. . .
Again this year I celebrated Winter Solstice. 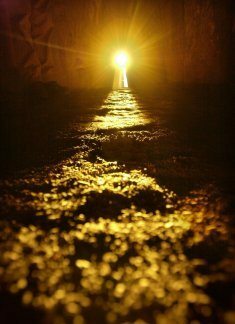 not for its pagan roots as much as for the hope I find in knowing the shortest sunlight day of the year has arrived and passed. once again the sunlight will linger longer each day on earths’ face and light the way for us all. one more reason to get out those “naturally fallen” oak logs and utilize the firepits on the beach. commercialism be damned. I’ll be at the firepits enjoying the warmth of celebration and sunlight and sharing the love with my fellow obceans. I like to celebrate two other events, too – the earliest sunset and the latest sunrise. I used to think that those events coincided with the solstice, but when I checked the almanac, I discovered that’s not the case. The earliest sunset this year was around December 3rd. Our evenings have been getter lighter since then. An almanac will show the same time for sunset for a period of about eight days. The one I looked at (www.timeanddate.com) for San Diego showed 4:42 pm from Nov. 30th through December 7th so I just take a day around the midpoint. The same almanac shows a 6:52 am sunrise from January 5th through January 12th, so I’m saying the latest sunrise will be around January 8th. Our mornings will still be getting darker until then, but hey, that’s another opportunity to celebrate when it arrives! Can anyone share who the artist is who drew the mandala. 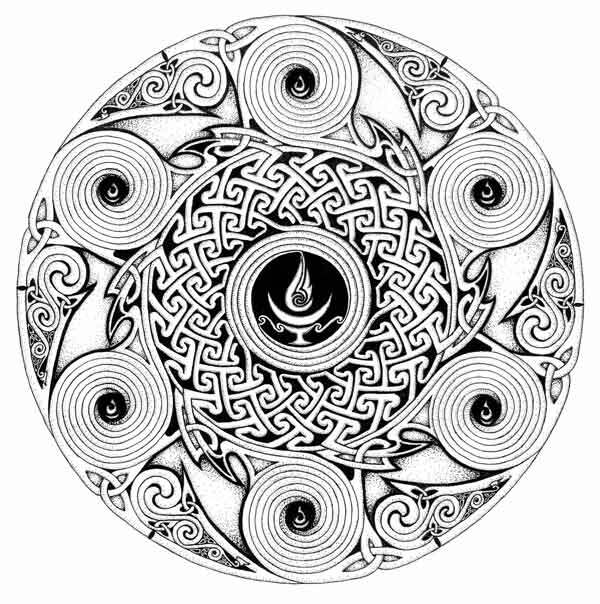 im not sure where i found this fantastic mandala….most likely googles “mandalas to color” and it came up. I’m living in paradise these days (northern cal) yet will always cherish my time in OB.